This is my 10 month old son Chase. 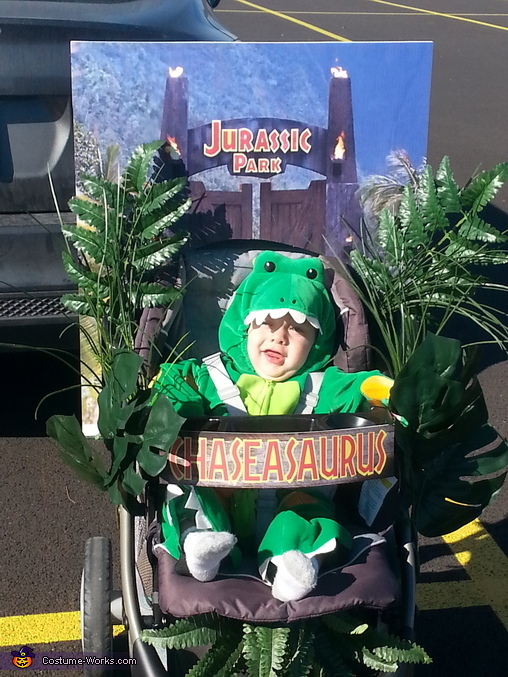 We printed the Jurassic Park gates on coroplast and mounted it to the stroller with velcro. The leafs are from Hobby Lobby and tied on with pipe cleaners. How did you print out the Jurassic park sign? Did you send the design in to a local store and have them print it?